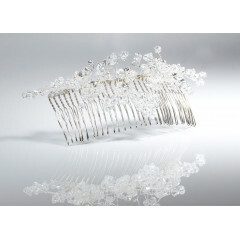 The ultimate in bridal tiaras introduces a unique collection of hair jewellery: the Collection de Luxe. The items in this series feature Swarovski crystals and pearls. 100% luxurious handicraft! Click any of the produts below for more on our deluxe tiara range. A dual band bridal Tiara from the Jupon Tiara De Luxe range. 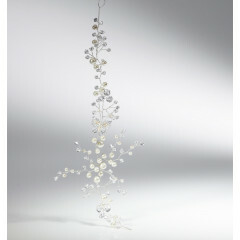 This bridal headpiece features Swarovski stones and flowers as the centre piece. Available in Ivory / Rosa. 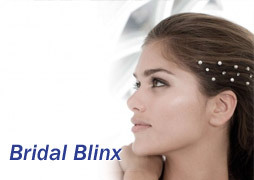 ..
A dual band bridal Tiara from the Jupon Tiara De Luxe range. This bridal headpiece features Swarovski stones and two rows of flowers across the band. Available in Ivory / Rosa. ..
Jupon brings you this stunning piece from the Tiara De Luxe range. 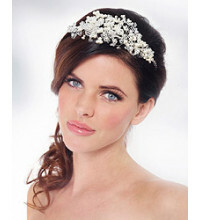 A classic style tiara with crystals and rose flowers running across the band. Available in Gold / Rosa. ..
Jupon presents this beautiful piece from the Tiara De Luxe range. A classic style tiara with a single band, featuring Swarovski stones, pearls, and flowers across the band. Available in Ivory. 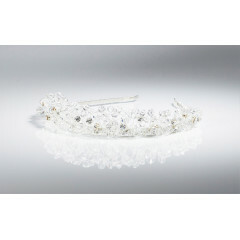 ..
A stunning tiara from Jupon's Tiara De Luxe range. This floral design sits perfectly on the single band design, making it lightweight and comfortable.Available in Gold. ..
Taken from the Jupon Tiara De Luxe range, this thin style tiara has 2 rows of Strass stones running across the base and is finished off perfectly with Swarovski crystals and a flower cluster.Available in Silver and Li.. This beautiful piece, from the Jupon Tiara De Luxe range, has a single band with flowers all the way across. It's finished off perfectly with pearls inside the flowers. Available in Gold. ..
From the Collection De Luxe, Jupon brings you this stunning Tiara featuring gold leaves and flowers and covered with encrusted Strass stones. Available in Gold. ..
From the Collection De Luxe, Jupon brings you this stunning Tiara with an intricate silver leaf design and also splashed with pearls. 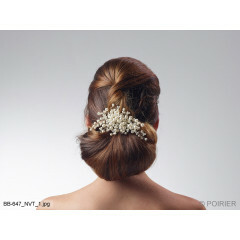 This item can be worn on the back of the hair, as seen in the picture. ..
From the Collection De Luxe, Jupon brings you this stunning Tiara featuring gold leaves and flowers on a Strass stone encrusted band. Available in Gold. 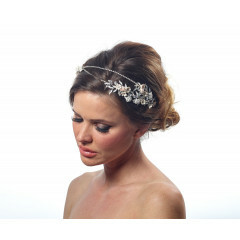 ..
A beautiful bridal Tiara from the Jupon Tiara De Luxe range. This bridal headpiece features Swarovski stones and Pearls as the centre piece. .. This stunning piece of hair jewelry is taken from the Jupon Collection de Luxe range and comes adorned with Swarovski Pearls on a comb base. .. 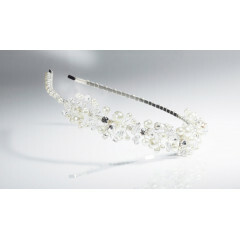 The Collection de Luxe range at Jupon brings you this stunning Swarovski Tiara, complete with luxury strass stones. It's 100% luxuriously handcrafted. .. 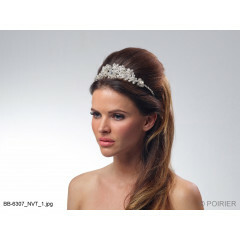 Bridal hair accessory Tiara with diamonds. This is the Collection De Luxe. .. Bridal hair accessory Tiara with diamonds and pearls. This is the Collection De Luxe. ..